On September 20, 2017, Hurricane María, the worst hurricane to hit Puerto Rico in three generations, battered the island with sustained winds of 155 mph and gusts exceeding 190 mph as well as 37.9 peak inches of rain, widespread flooding, storm surges, and untold tornadoes. Following a slow, 24-hour diagonal path, María crossed Puerto Rico from the southeast to the northwest. A stunned island woke up the next day to a desolate scene: catastrophic destruction of vital infrastructure—the entire electrical grid, communications, airports, shipping ports, and roadways—as well as the built environment and natural landscape. In short, the very fabric of life in Puerto Rico had been torn asunder. Circa 1910 home in the National Register of Historic Places–designated Aquirre Historic District show its deterioration between February and September 2018. The missing wood was stolen from the walls to be used as scrap. The 90-year-old owner needs at least an additional $40,000 to restore her home. Amid the devastation, the condition of Puerto Rico’s more than 5,000 historic properties was initially unknown. The need for information about the fate of the historic patrimony was urgent, but heritage custodians faced considerable challenges, such as the difficulties posed by the lack of communications. Para la Naturaleza, a nonprofit organization that engages people in the conservation of Puerto Rico’s natural ecosystems and cultural heritage through hands-on experiences, recruited Diana Luna-Serbiá, AIA—a specialist in historic preservation and associate dean of the University of Puerto Rico’s School of Architecture—and a group of architecture students to conduct an islandwide survey of historic properties, sharing the results with the state historic preservation office (SHPO) and the Institute of Puerto Rican Culture. The effort, dubbed “Map of History,” was funded with a generous donation from the National Trust for Historic Preservation. 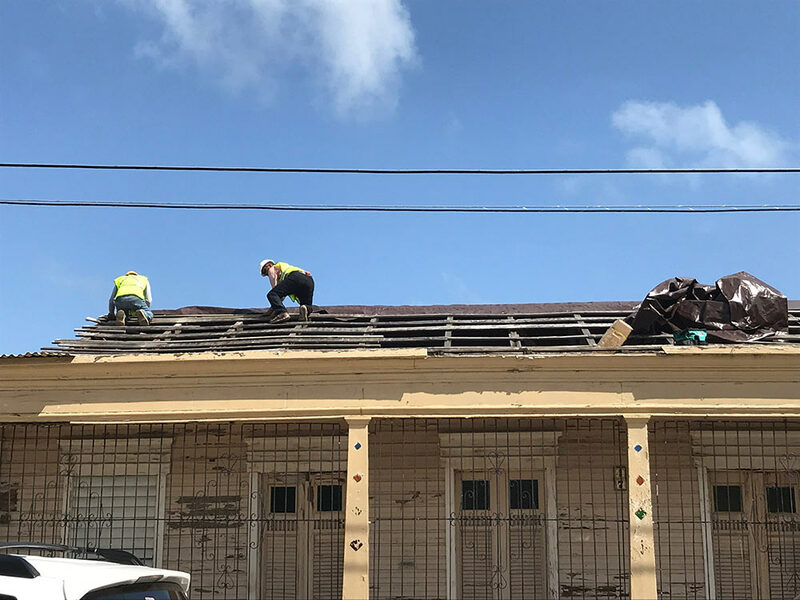 To begin mapping the damages to historic structures, 13 students and volunteers followed the hurricane’s route, using their own vehicles and overcoming damaged or obstructed roads and gas shortages, among other challenges. 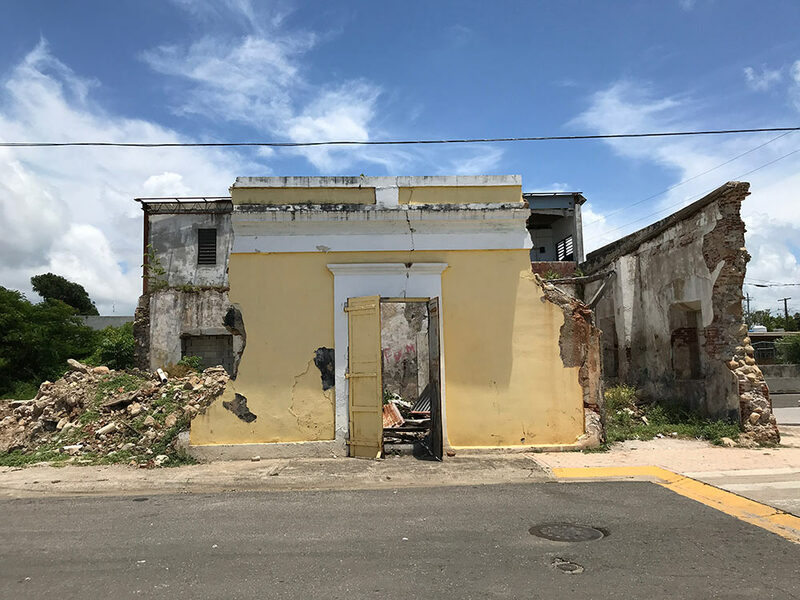 Beginning just three weeks after the hurricane, they visited Puerto Rico’s 12 locally designated historic zones, 15 federal historic districts, and approximately 450 sites, recording observable damages and documenting them with photographs. They used custom report to provide a comprehensive view of the damages as quickly as possible by conducting visual assessments of structures and assigning them categories: minor—damage to doors, windows, roof metal, or other elements; intermediate—partial roof or partial wall loss; major—total roof loss; or collapse. By the first week of November, the group had documented 4,882 structures in 45 municipalities, all in a period of three weeks. Preliminary results, which Para la Naturaleza provided to the SHPO, the Institute of Puerto Rican Culture, and the Federal Emergency Management Agency on November 8, 2017, showed that areas south of the eyewall suffered the greatest damages. In the historic zones of Arroyo, Coamo, Guayama, and Ponce, as well as the Aguirre Historic District, more than 130 structures sustained major damage and 20 collapsed entirely. On March 1, 1859, Samuel Morse himself sent Latin America’s first telegraph message from this warehouse in the southeastern town of Arroyo. It said, “Puerto Rico, beautiful jewel! When you are linked with the other jewels of the Antilles in the necklace of the world's telegraph, yours will not shine less brilliantly in the crown of your Queen!" Findings showed that the most seriously affected structures were those made of wood with metal roofs, many of them private homes built between the second half of the 19th century and the beginning of the 20th. These tended to experience partial or total loss of the roof, while retaining walls and interior ceilings. The hurricane’s strong winds caused the initial damages, which were compounded by the unrelenting rain in the following weeks. The survey results highlight the excellent of Puerto Rico’s historic patrimony: in spite of Hurricane María’s devastating strength, only 10 percent of the nearly 5,000 structures surveyed sustained serious damages, and only 27 structures collapsed. This is particularly impressive given that structures built after 1860 have withstood 27 hurricanes and storms, nine of them Category 3 or higher. Given the island’s state after Hurricane María, “Map History” was a herculean endeavor that required great strength of will and a deep commitment to history. The local chapter of the American Institute of Architects recognized as much, awarding the project’s participants an Honor Award in Research and Publications in 2018. “Map History” also provides a template for conducting a comprehensive survey of post-disaster conditions in a relatively short amount of time. More than a year later, the survey’s results and Para la Naturaleza’s follow-up efforts continue to shed light on the realities of historic preservation in Puerto Rico. The slow pace of recovery has highlighted the difficulties of protecting and preserving our built heritage. 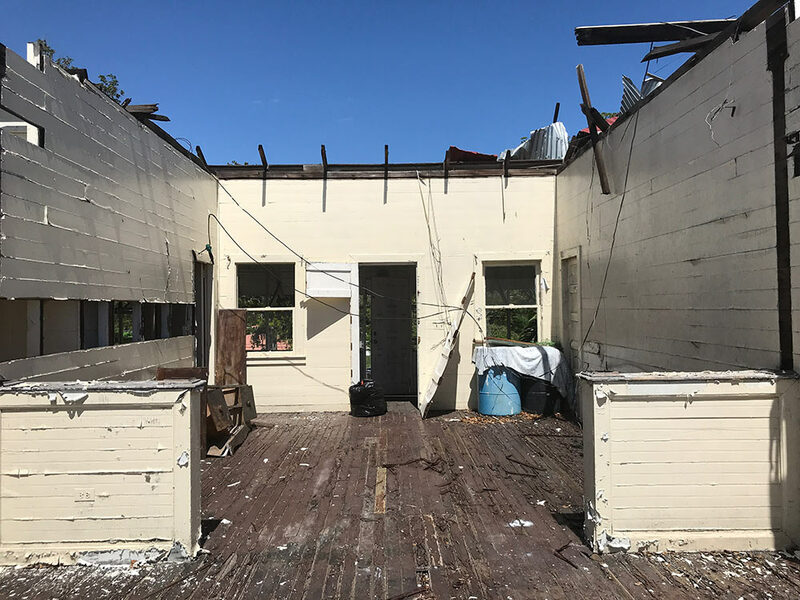 Challenges include scarce construction materials; few workers trained in the restoration crafts; insufficient funds; and an owner profile that tends toward the elderly, often overwhelmed with the prospect of embarking on a major restoration. The path forward must include raising awareness of the multiple benefits of saving our historic places and supporting owners’ efforts to recover their historic properties. 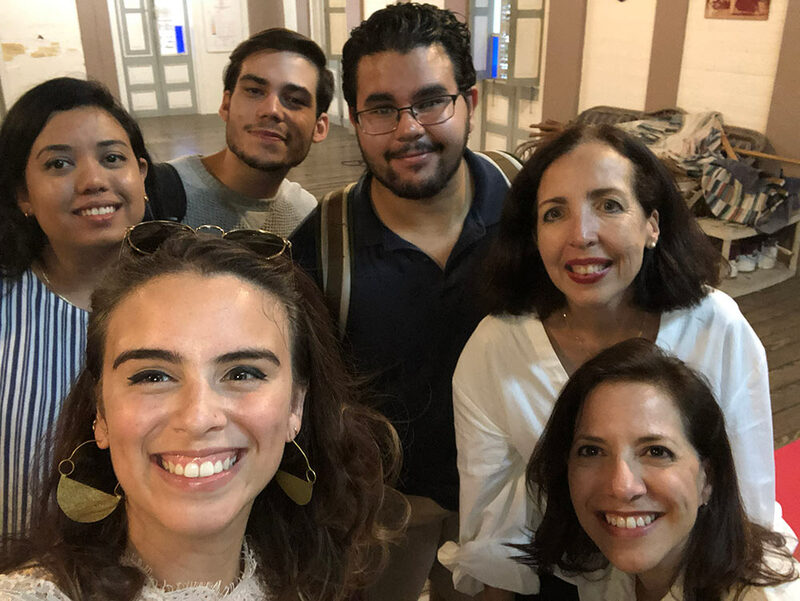 Clockwise from left: Architecture students Camila Hernandez, Sairimar Gomez, Reily Calderon, and Hector Berdecia; conservation architect Diana Luna-Serbia; and Para la Naturaleza heritage coordinator Ivonne Sanabria. Ivonne Sanabria is the heritage coordinator for Para la Naturaleza.